Once I began learning about about the OMD singles, I found that record mail order catalogs were super helpful in giving me an idea of exactly what I was missing. By the time that I was finally seeing these catalogs, probably concurrent from meeting Mr. Ware in 1985, I noticed that the obscure, non-hit single “Red Frame, White Light” had a very intriguing sounding B-side. The song in question was called “I Betray My Friends” and I can recall buying a UK 7″ of this to finally get the B-side around that time. I had already purchased 10″/12″ singles of the likes of “Messages,” “Enola Gay,” and “Souvenir” by that time. I started buying the 12″ singles when released by the “Dazzle Ships” album. When I finally received the 7″ single, I could at last find out exactly what a song called “I Betray My Friends” would actually sound like. It sounded like a machine. A machine that generated guilt and anxiety. Sludgy of tempo and slurred of vocals, it’s actually difficult to make out exactly what Andy McCluskey was singing here. Data suggests that he had the title and backing track up front and just improvised lyrics at the mic. I suppose what he actually sang didn’t matter much as the music and delivery alone cast such a insinuating, minor key pall over the whole affair. Not much of a song, but an unforgettable vibe in and of itself. It’s hard to imagine a piece of music more negative sounding. The last B-side from the first album era was a cover version. If I can hardly imagine anything more unlikely than the notion of OMD covering a Velvet Underground song, it’s OMD covering a Velvet Underground song about buying dope. These clean-cut guys in bank clerk dress are the furthest thing from junkies imaginable. Still, they gave it a go, and the use of rhythm box with live, motorik drums over it refers nicely to the origins of those beats in Mo Tucker’s drum kit while stepping further to the left. Instrumentation was basically minimal, sustained organ chords and lurching push/pull bass guitar. This was actually the first time I had heard the song here. It took me forever to actually hear The Venvet Underground. Even without the benefit of hearing the original, it failed to convince for long years, but listening to it with a critical ear now, I will grant it a pass, if only for the iconoclasm of its rhythm track. It rendered the song more machine like, which for a song about being a junkie, makes a lot of sense. And the abrupt cold ending, in the middle of a beat of the rhythm box, was memorable. 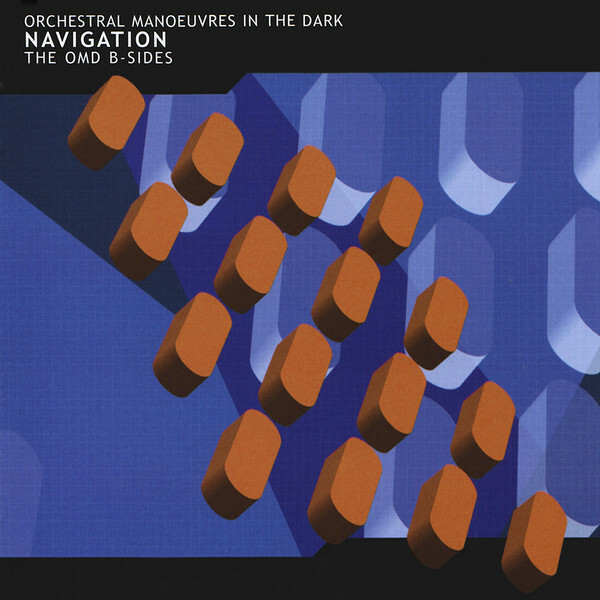 There was only one single from the “Organisation” album, but what a single it was. 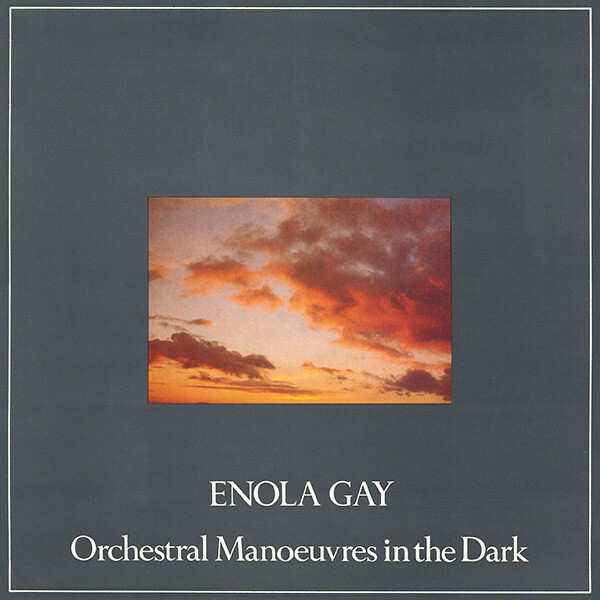 “Enola Gay” took the band to new pop heights while advancing the subject matter frame considerably. The B-side to this single was “Annex,” and it announced that OMD was firing on all 12 cylinders, because this B-side was the first of their world-class efforts at such. Perfectly mirroring their concurrent development of all of the fine songs that were deemed album worthy. As of this point OMD were a powerful force to be reckoned with. “Annex” featured a lurching synth bass line with thin, reedy lead lines running the top line melody. What sounded like dubbed out car horns accompanied McCluskey’s melodious singing, which was placed low in the mix. Unlike the 2:35 Peel Sessions version discussed earlier, this is the one to hear as the throbbing bass line eventually swallows up the entire song as it was reduced to a relentless, throbbing, industrial hum. Unforgettable stuff and one of my favorite OMD songs ever. It was here where I discovered that their B-sides could yield gold. 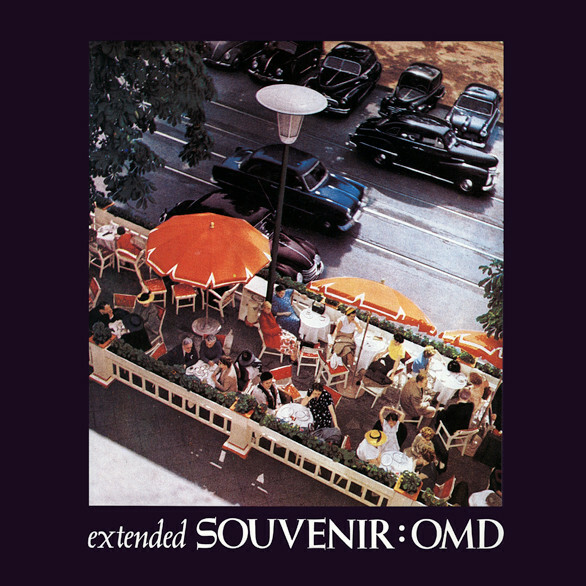 OMD’s next single, “Souvenir” was actually a three track EP, with two B-sides on both the 7″ and the 10″ single variations. The first of these was “Motion + Heart [Amazon Version. ]” It was a re-recording when “Motion + Heart” was being mooted as a possible second single from “Organisation,” so the band re-recorded it in Amazon Studios, but the notion of a second single following “Enola Gay” was dropped, leaving the recording here as a B-side. Since the song was a previous album cut, and the differences in the re-recording were slight, it was left off of “Navigation.” I was fine with that decision. It was much more important that the non-LP “Sacred Heart” be given the stage here. This was a B-side that telegraphed the elements of the “Architecture + Morality” sound yet to come in a very different way from the A-side. The jangling guitars coupled with the synth bass undertow and rhythm box to create a sound that was both machine-like and delicate. Like a clockwork butterfly. The vague sense of religious fervor in the lyrics prepared us for the [double] onslaught of St. Joan soon afterward, but this was another top quality B-side as the band were at cruising altitude here. 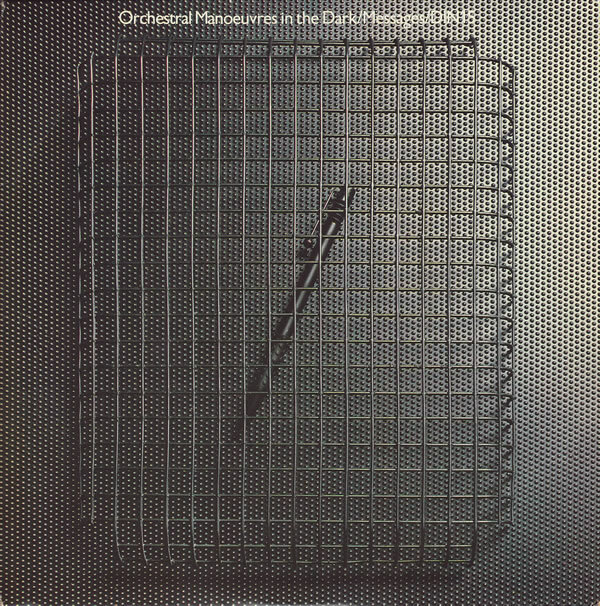 This entry was posted in Core Collection, Designed By Peter Saville, Rock GPA and tagged 2001, B-sides, Compilation Albums, OMD. Bookmark the permalink. 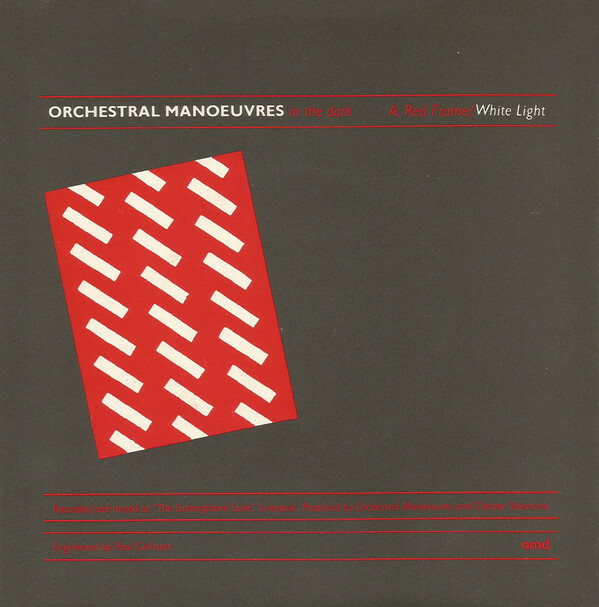 I absolutely love OMD’s early B sides as rather than throw away tracks, which many b-sides were around this time, OMD’s were as vital as the albums and also fitted so perfectly with them. I always enjoyed trying to work out where best to position them in the album track listings. Annex fits perfectly between VCL XI and Motion and Heart as the afforementioned throbbing bassline, industrial noise cuts off beautifully leading into the tango drum rythms of Motion and Heart. Sacred Heart I agree fits into the same imagery and ideas as the Joan of Arc tracks and with an obvious Catholic link in the title, so for me its plays like a prequel to those two tracks on the album so that’s where I’d put it in the album. And with ipods and its very easy to create these extended album playlists. Lots of fun. Nice to see that someone else integrates b-sides into parent albums. Do you sometimes rearrange the tracklisting altogether?